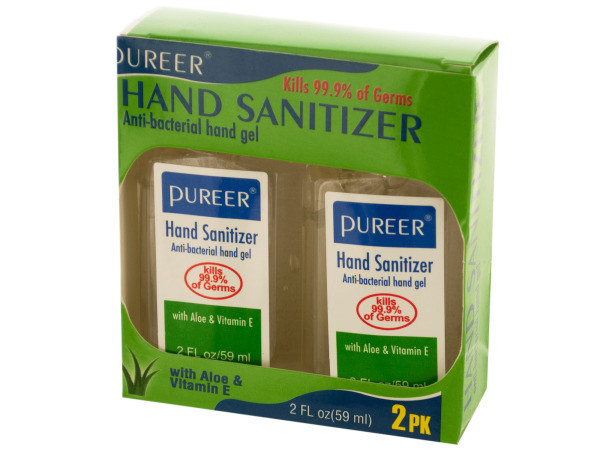 Kill 99.9% of germs on the skin when water and soap aren't available with this 2-piece Hand Sanitizer Gel with Aloe & Vitamin E Set. Great for travel, camping and everyday use. Each flip top bottle contains 2 ounces of gel. Comes packaged in an individual window box.